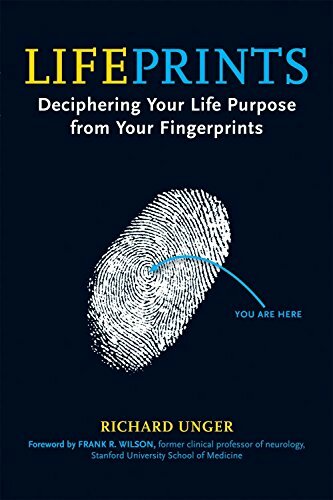 "A guide to discovering one's life purpose by decoding the map revealed in our unique combination of fingerprints, based on twenty-five years of research and fingerprint statistics for more than fifty thousand hands"--Provided by publisher. RICHARD UNGER is founder and director of the International Institute of Hand Analysis. He has lead life-purpose workshops for 25 years across Europe and the United States at such locations as the University of Chicago, Stanford University, the Esalen Institute, and others. He lives in Marin County, California.